Republican congressional representatives from Washington came out against the policy of separating migrant families detained at the U.S.-Mexico border — but avoided direct criticism of President Trump, whose administration launched the policy. Washington’s Republican congressional representatives — and some candidates — joined Democrats this week in decrying the policy of forcibly separating children from their parents at the U.S.-Mexico border. But their comparatively muted public statements largely avoided direct criticism of President Donald Trump, whose administration launched the separation policy as the president falsely asserted it was required by law. Many of the Republican statements echoed Trump’s claims that Congress needed to act to halt the separations, which emerged as part of a “zero tolerance” crackdown on illegal border crossings. Facing a national backlash, President Trump retreated on Wednesday, signing an executive order he said would stop his halt the practice, and instead detain parents and children together. 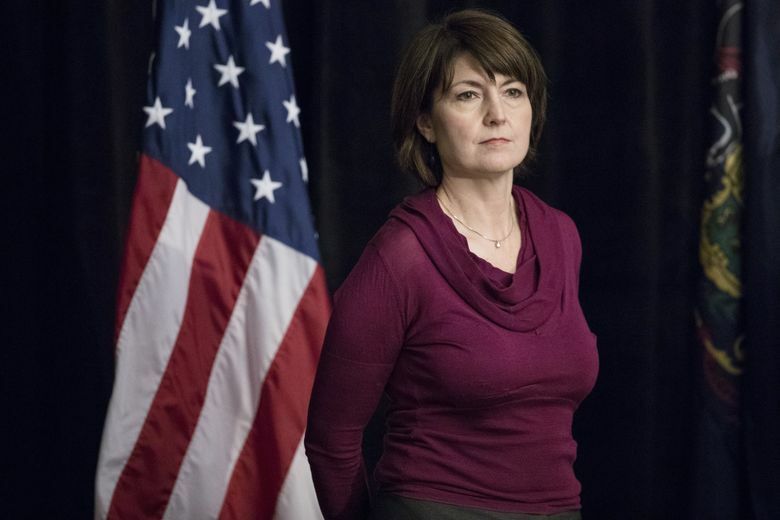 Among the state’s four Republican U.S. House members, Rep. Cathy McMorris Rodgers, of Spokane, offered the lengthiest comments, saying in a written statement earlier this week the administration “should stop the practice of separating families” on its own. She criticized former Trump campaign manager Corey Lewandowski, who in a Fox News interview Tuesday mocked a 10-year-old girl with Down syndrome who was separated from her mother at the border. We need to fix this family separation problem at the border. As Americans, and as a people who are warriors for human rights and human dignity, these policies are inconsistent with our nation’s values and everything we stand for. McMorris Rodgers is facing a tough re-election challenge this fall from former Democratic state Sen. Lisa Brown, who accused her opponent of trying to use children and families as political leverage for a border-security bill. “Neither these kids nor our Dreamers should be used as a negotiating tool and their status and safety shouldn’t be traded for a border wall,” Brown said in a news release. 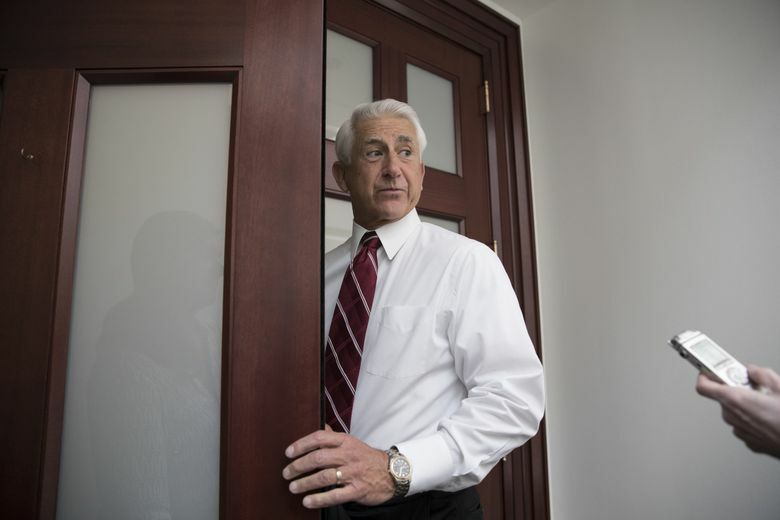 Rep. Dave Reichert, R-Auburn, who is retiring at the end of the year, issued a statement Wednesday morning referring back to his years as King County sheriff. Rep. Jaime Herrera Beutler, R-Vancouver, said in a statement that “family separation should not be U.S. policy” and that she was working with House leadership on legislation that “would fix multiple aspects of our nation’s broken immigration system” — including allowing minors to stay with parents who have been detained at the border. In Washington’s closely watched 8th Congressional District race, Republican candidate Dino Rossi issued a written statement saying it “should not be U.S. policy to separate parents from their children.” He said Congress should “address this situation immediately” by passing legislation. Three rival Democrats vying to take on Rossi this fall put aside their differences for a rare united front on the separation policy, issuing a joint statement earlier this month in opposition to the family separations, and criticizing Republicans for staying silent for weeks on the issue. Rittereiser, an attorney, said on Tuesday he and his law firm would provide free legal representation to any federal employee refusing to carry out the Trump policy. All of Washington’s Democratic U.S. House and Senate members have loudly condemned Trump and other Republicans for the policy that has put children in cages at the border. Rep. Pramila Jayapal, D-Seattle, met earlier this month with 174 asylum-seeking women at the SeaTac federal prison. Many of the women had been separated from their children after being apprehended crossing the U.S. border. The moral hole that President Trump has been digging since the moment he declared his candidacy has reached a new low—and we cannot allow what has been become expected to become acceptable.